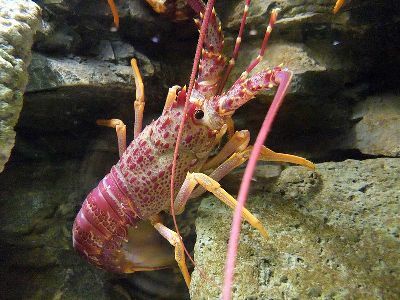 Southern rock lobster, Jasus edwardsii, at Southern Encounter Aquarium, Christchurch, New Zealand. 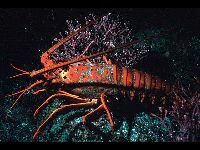 Spiny Lobsters are a different family of animals than Lobsters. Spiny Lobsters do not have claws. 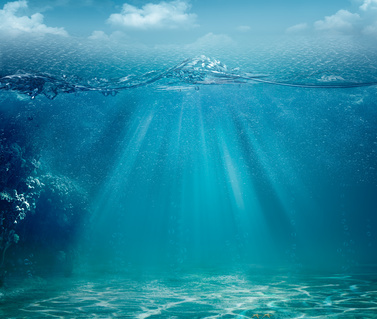 Spiny Lobsters migrate to warmer waters when sea waters cool off. 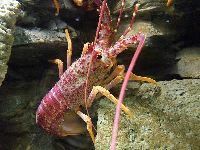 Spiny Lobsters migrate in groups by marching in line along the ocean floor.